The Wayne County Department of Health, Veterans and Community Wellness was founded to provide educational tools and resources on public health, aid in identifying health hazards in the area, and safeguard the safety of the residents in Wayne County, Michigan. With nearly 1.8 million inhabitants, Wayne is Michigan’s most populated county and home to major cities like Detroit, Plymouth, and Dearborn. After struggling for almost a year to develop a mobile app that would help with raise awareness for public safety issues and educate residents, The Wayne County Department of Health, Veterans and Community Wellness reached out to Media Genesis to complete the project before the fast-approaching deadline. They needed an app that was compatible with both iOS and Android, and which would provide residents with important information related to public health, threats, and safety concerns. The main goal was to develop an easy-to-use tool with information-rich, interactive features. We had exactly one month to fully design, develop, and launch the app. We met with Wayne County representatives and team members from Hadrout, our partner agency on this project, to discuss the needs and requirements for the application. The Hadrout team handled the design aspect of the app, while we were responsible for the project management, build and development, and supporting maintenance. 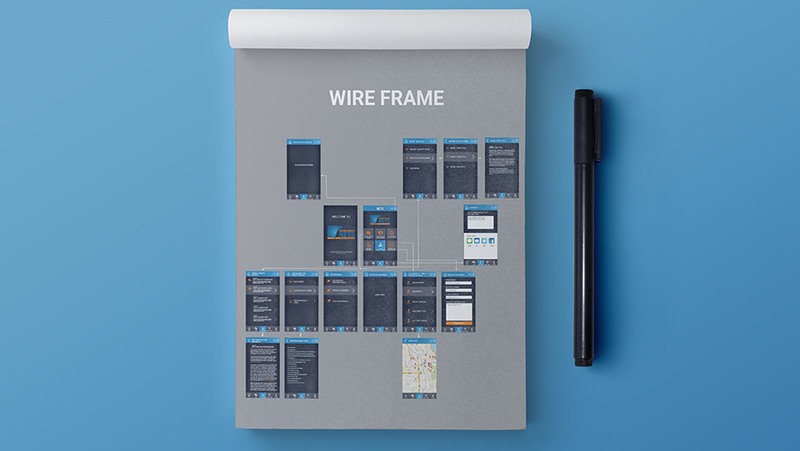 Our team hit the ground running by developing wireframes and user flows. This development process included engineering how the app’s content would be organized, structured, and shared across user devices in order for Wayne County to communicate effectively with the public. We also utilized a real-time data feed to pull in information from Wayne County’s content managed website and integrated with Amazon Web Services to provide urgent public health alerts with push notifications. The build and development stages required acute attention to detail, as the app had several unique features. We first created a loading screen that displayed a static image as the app starts up and then built the home screen with a title bar and navigation. Key features on the app included a glossary of terms, an “I am safe” tab for users to notify family and friends, as well as a locations map of the county’s public health offices. We met our tight deadline and launched the app on June 1, 2017. We continue to perform post-launch maintenance, updates, and support for our partners at the Wayne County Department of Health, Veterans and Community Wellness.